Although Beaumont High School track star Paul Leming Jr. '52 was heavily recruited by universities across the country, he chose to stay in his home state, near his high school sweetheart (and now his wife), Betty, and attend Texas A&M University. Leming, a track and field letterman at the university, earned his bachelor's degree as part of the university's first business class. He was commissioned as a U.S. Air Force officer and had a successful 30-year career as a fighter pilot and senior officer in nuclear safety. After many years overseas and Leming's retirement as a full colonel, the couple settled in College Station. Back in Aggieland, Leming officiates Texas A&M track meets, serves on the 12th Man Foundation Board of Directors and volunteers at the Letterman's Association sports museum. Financial savvy helped Leming recognize a great opportunity when he saw it in the form of a planned gift for Texas A&M. The couple used mutual funds to establish a charitable trust through the Texas A&M Foundation Trust Company that benefits them and their family, and later will provide significant resources for Texas A&M. "We gained tax advantages by getting the securities out of our estate, and we receive annual payments that we plan to distribute equally to our children. 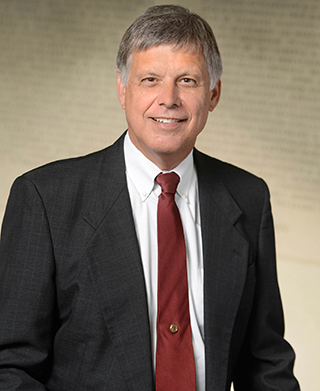 Eventually, these funds will benefit Texas A&M programs that are important to us," Leming said. 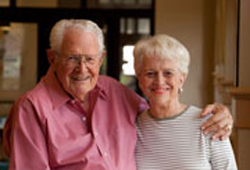 After Paul and Betty's lifetimes, the trust will provide lifetime payments to their three children. Then, when the trust ends, the remaining balance will create scholarships for business students and cadets, as well as support athletic and former student programs. "It is a win-win-win-for us, our kids and Texas A&M; it's hard to find opportunities like that these days," Leming said. "This is the best way we can help the university achieve its future objectives." The Texas A&M Foundation is a nonprofit organization that solicits and manages investments in academics and leadership programs to enhance Texas A&M’s capability to be among the best universities.